Stickers glowing in the dark are well know to everybody. The concept adds them other function. The idea is to place the biggest sticker (sun) precisely on the light switch. 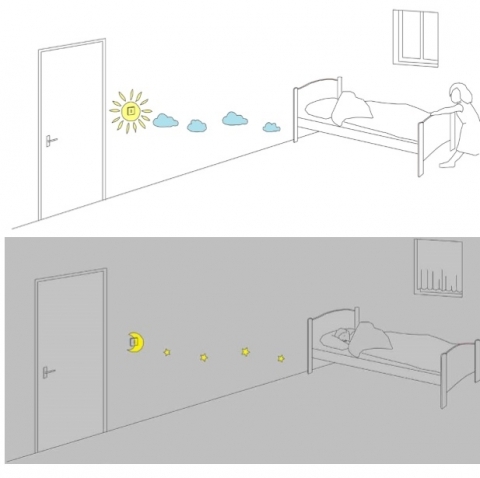 The clouds would create the path directing to child’s bed. At night, sun becomes a moon, clouds turn into stars that appear as the indicators to follow. Give moon’s nose a flick! The light is on now and the darkness not that scary anymore.